Small disposable inline water filters provide an easy way to add a water filter almost anywhere. They can be used as stand-alone filters or can be added to existing filters. 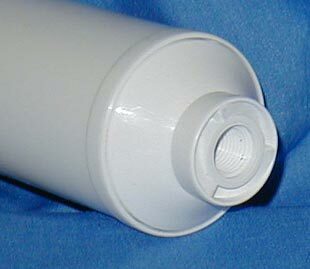 Refrigerator filter, to remove chlorine or chloramine from city water. 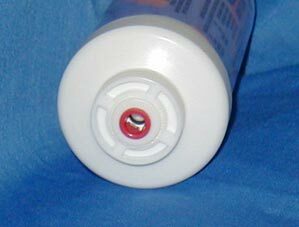 Add-on filter, to raise the pH or add mineral content to water from an undersink reverse osmosis unit. Add-on filter to protect an existing undersink filter or RO unit from sediment. The final or “polishing” stage of an undersink reverse osmosis unit. An inexpensive independent undersink filter to improve taste and odor of city tap water. The most common format for small inlines today is with quick connect (a.k.a. John Guest) fittings, but they can still be installed with plastic compression fittings (Jaco style) or conventional copper compression fittings. They come in 6″ length, 10″, and larger. By far the most popular size is the 10″. They can be installed with inexpensive clips, or they be laid on the floor, or even, because of their light weight, installed on a vertical tube like an undersink faucet line without additional support. Here are the fitting styles available. The threaded filter can be used either with quick connect filters added. with “Jaco” plastic compression fittings, or with standard hardware-store grade metal compression fittings. Just telflon tape the threaded portion of the fitting and screw it into the filter. Inline filters can serve as stand-alone taste/odor/chemical filters. They can raise the pH of acidic water. They can protect appliances like coffee makers and ice machines. They can remove lead and heavy metals. They can remove sediment. Carbon inlines come with standard GAC, coconut shell GAC, and in several carbon block styles. Inline filters available from Pure Water Products.